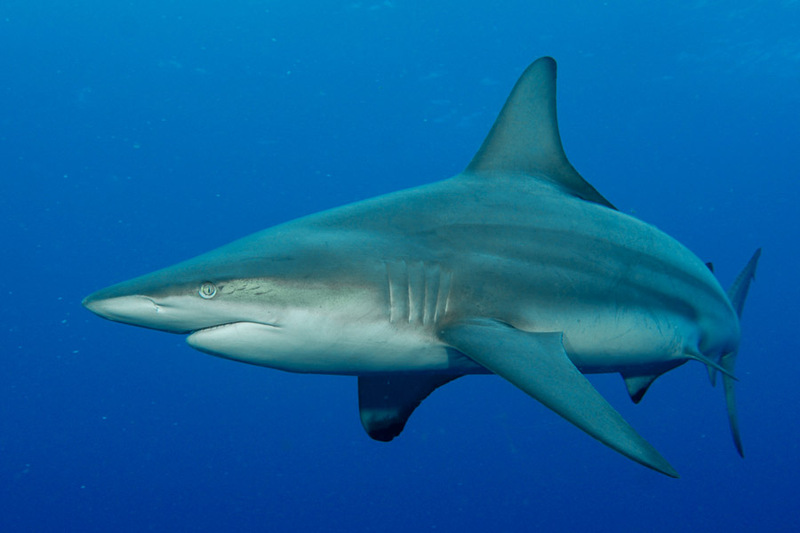 Whitetip reef sharks are easy to identify by their long, slender bodies and the white tips on their dorsal and upper tail fin. They live in shallow water on coral reefs, and at night can be found wriggling through corals to catch prey. During the day, these bottom-dwellers are often found sleeping in groups. 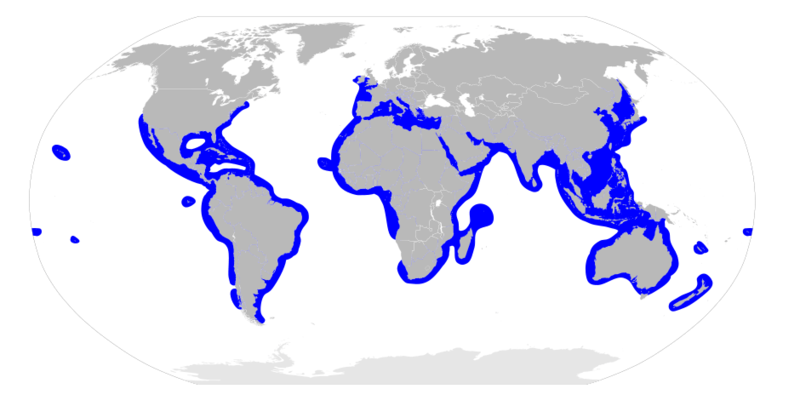 Blacktip reef sharks are the most abundant sharks found on Indo-Pacific reefs, usually inhabiting shallow, in-shore waters. They have black markings on all fins, and can reach up to 5.2 ft. in length. They can be found alone or in schools, often hunting fish, octopus, shrimp and squid. 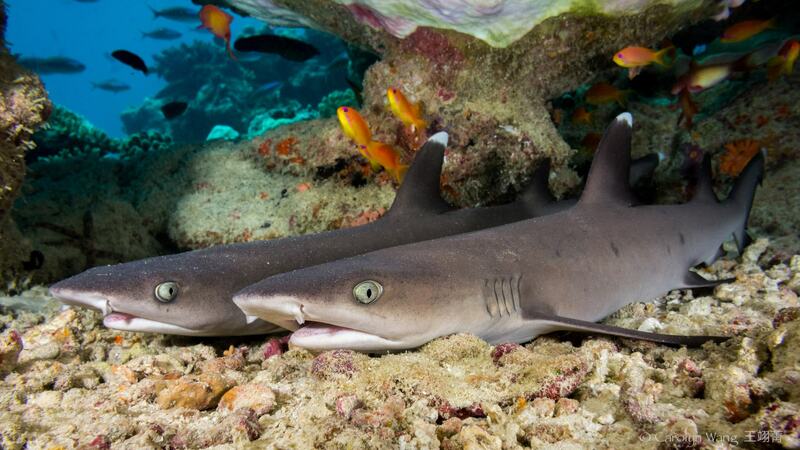 These fast-swimming sharks are usually found near reef edges in social groups during the day. 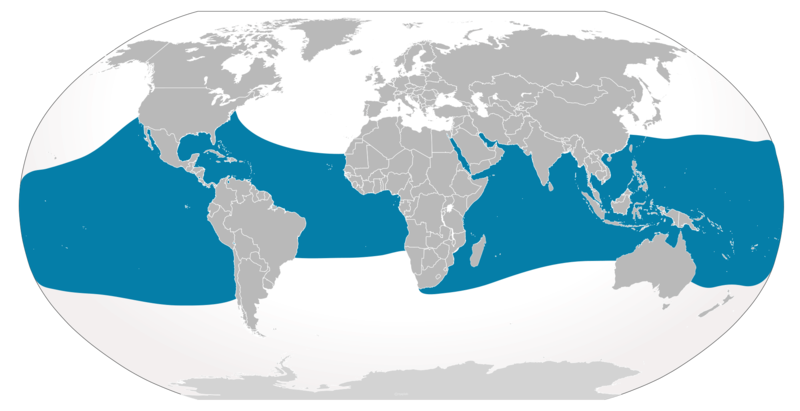 At night, they are solitary hunters, eating bony fishes and cephalopods. They are known to perform threat posturing in the presence of a perceived threat, and can become aggressive in the presence of food, such as when spearfishing. Growing to an average size of 16 ft. long, the tiger shark is an apex predator in both temperate and tropical coastal seas. With a reputation for eating anything from dolphins to license plates, these opportunistic hunters rank as one of the most dangerous shark species in the world. 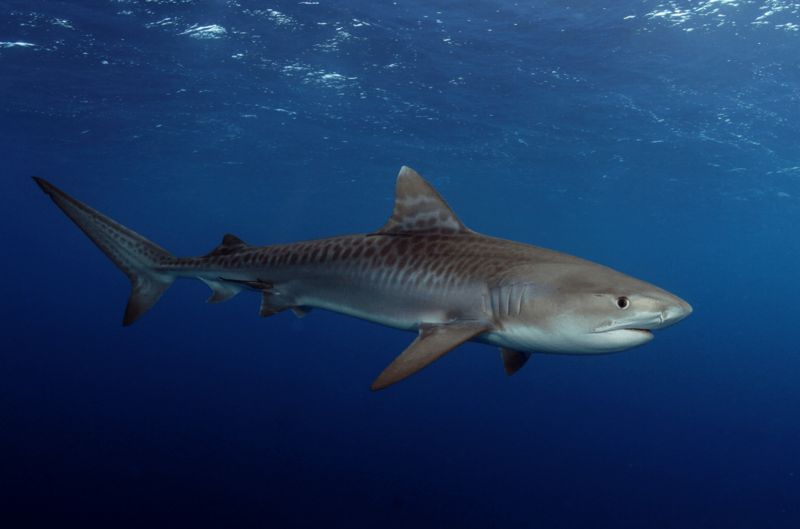 In native Hawaiian culture, the tiger shark is considered sacred, and is seen as an ancestor spirit. This member of the carpet shark family is distinguised by its broad, flattened head and small eyes. 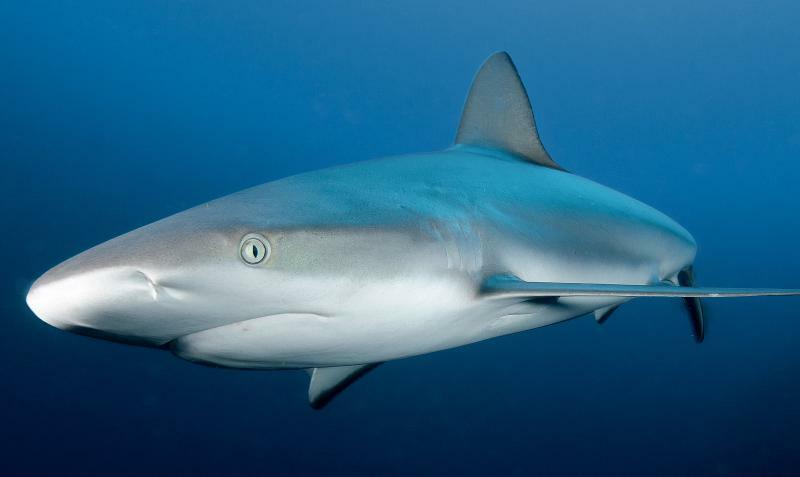 Although it grows up to 10 ft., this shark is extremely placid and spends time laying on the ocean floor in groups. They are most active at night when they hunt octopus, crustaceans and squid. Nurse sharks can stick their heads in holes and crevices when hunting, and use a powerful suction to force prey items into their mouth. 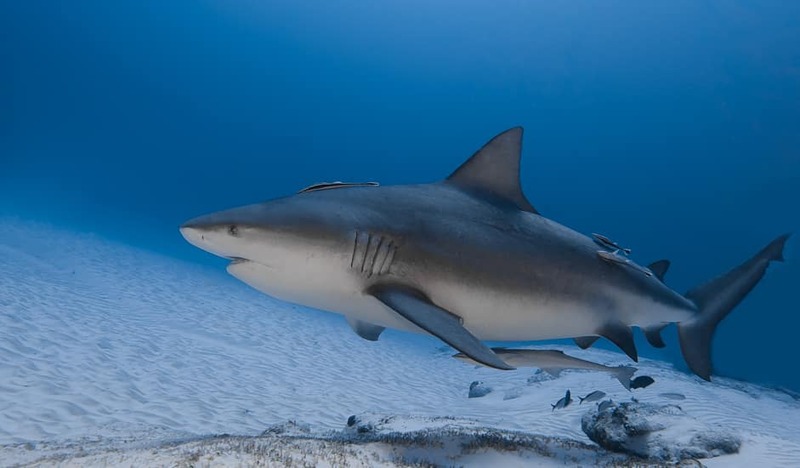 Also known as the Zambezi Shark, the Bull Shark is found worldwide in warm coastal waters, with some present in freshwater or brackish habitats. It is known for its aggressive nature and its stocky appearance. Females grow larger than males (up to 11 ft.). Their ability to exist in freshwater habitats has categorized them as both Euryhaline (able to adjust to varying salinities) and Diadromous (able to travel between fresh and salt water with ease). This distinctive shark is a member of the carpet shark family. It is found throughout the Indo-Pacific in coral reefs and sandy flats. They are nocturnal, hunting for mulloscs and crustaceans at night, and resting on the seafloor during the day. 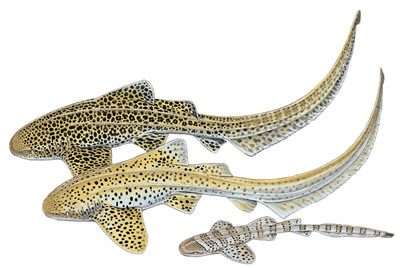 Due to its coloration, it is often incorrectly called “leopard shark”, which refers to a different species in the houndshark family. 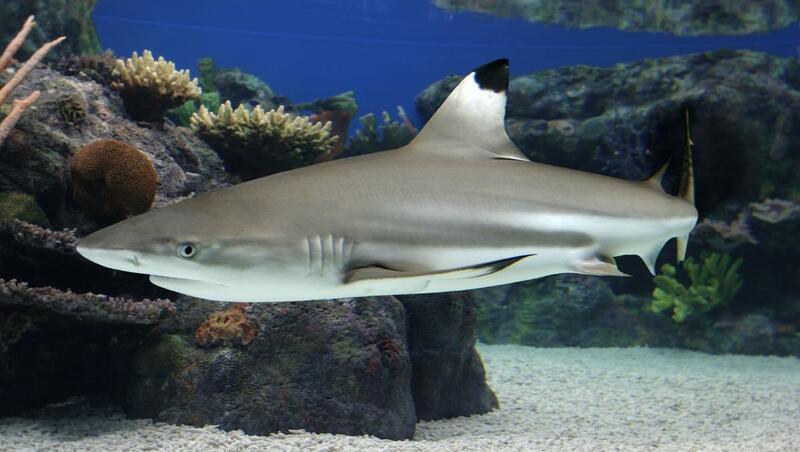 The Blacktip shark is found worldwide in tropical and subtropical waters. 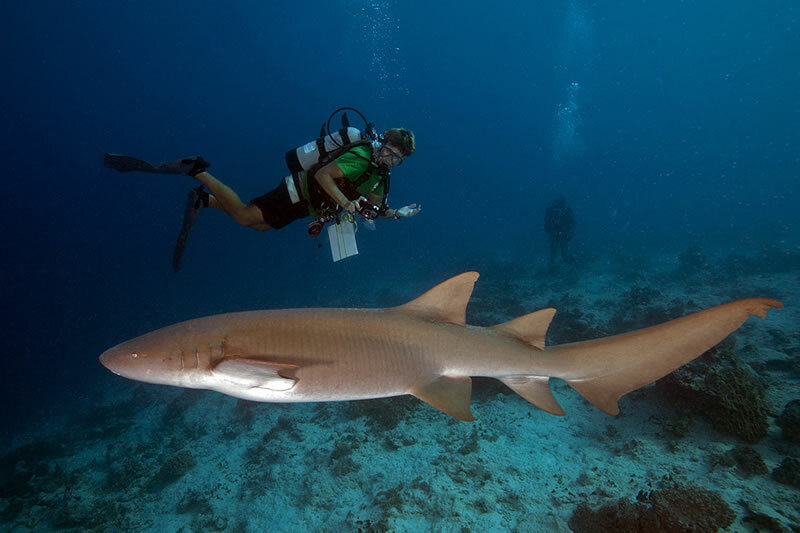 It has black tips or edges on most of its fins and can reach up to 5 ft. in length. It is often found in shallow water, including muddy bays, lagoons and coral reefs and is known to leap out of the water during feeding. When threatened they perform a distinctive threat display to warn the perceived threat of an inevitable attack. 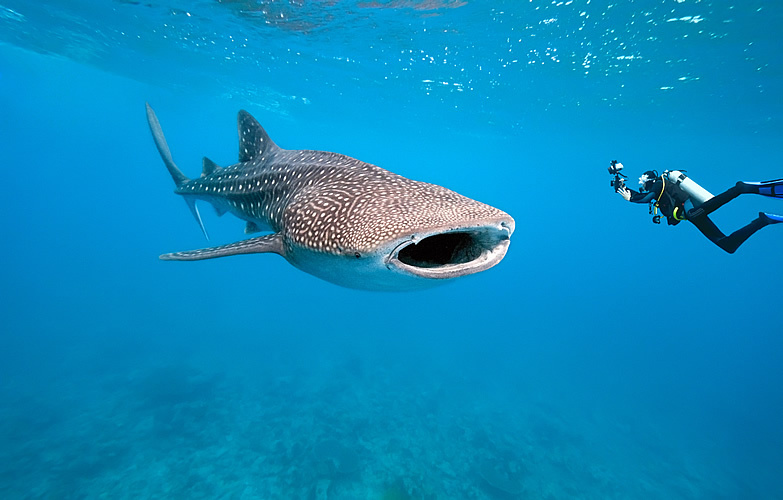 Whale sharks are the largest living fish in the world, growing up to 45 ft. long. These filter feeders almost exclusively eat plankton, and poses no significant danger to humans. 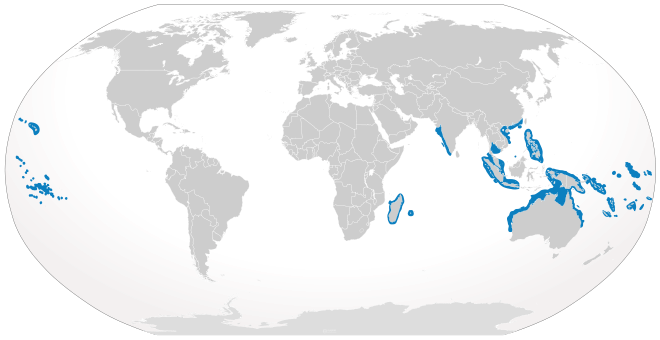 They are considered endangered due to fishing activities. There are 10 known species of hammerhead sharks, named for their unique head shape. During the day they can be found in large groups before separating at night for solitary hunting. 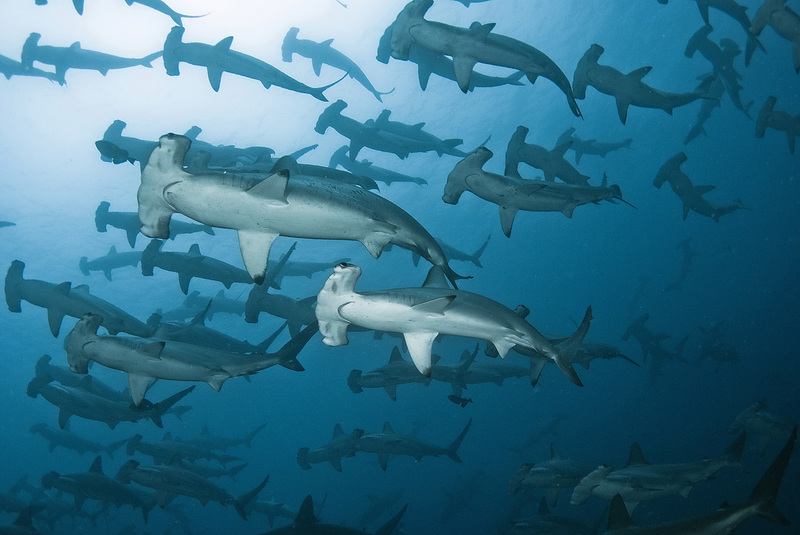 One species of hammerhead has been found to be capable of asexual reproduction.